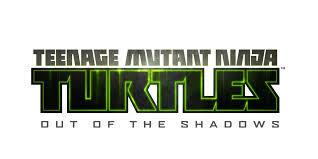 Teenage Mutant Ninja Turtles: Out of the Shadows was developed by Red Fly Studio and published by Activision. It was released on August 28, 2013 for $14.99. A copy was provided for review purposes. 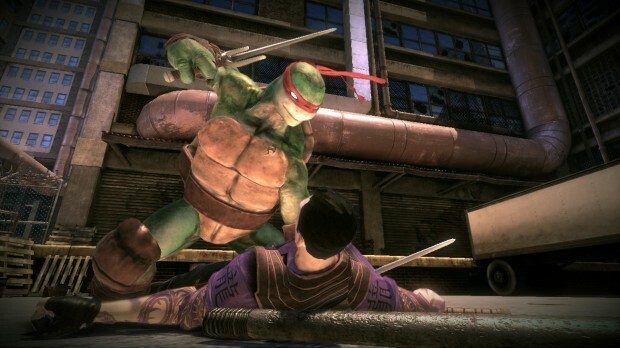 Teenage Mutant Ninja Turtles: Out of the Shadows is a third person beat ‘em up game utilizing Epic Games’ Unreal Engine 3. After a brief introduction starring newscaster April O’Neal (in which she is playable, unlike the majority of the Turtles games), players take on the role of the four famous turtles, hacking, slashing and kicking their way towards a final confrontation with Shredder himself. The game features more diverse terrain than in previous Ninja Turtle games, forcing the turtles to traverse rooftops, leap over buses, and wind through sewer tunnels while fighting the Foot clan and scientist Baxter Stockman’s endless supply of mouser robots. In between each stage, the group returns to their lair in the New York sewers to train, learn new moves, upgrade their weapons and play arcade games.